Happy Greetings to one and all, we would like to take this opportunity to thank all of our tour participants that ventured with us on our 2015 European & USA tour season. Along with the fantastic 'Learning Curves H-D® Dental Adventure C.E. participants' and a great bunch of Kiwi's we all had a better than perfect Tuscan riding experience. Our Sturgis 75Th Anniversary Tour was a real "cracker" perfect weather and great riding conditions, awesome people and sights and the one off chance to be part of a one Million bikers strong extravaganza in Sturgis & surrounds. 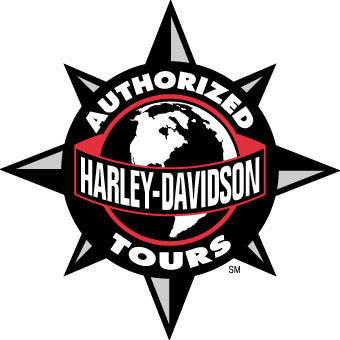 2016 starts off with our South Island Harley-Davidson® Adventure tour in 8 weeks time. 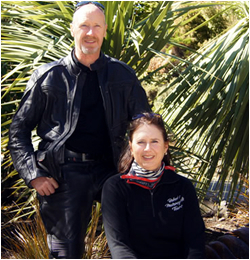 We are delighted once again to be able to show off our awesome South Island to some Aussie's, fellow Kiwi, & USA folk in our warmest month of the year, this is the part we so enjoy plus we have a couple of lesser day Deep South Adventures planned in the next few months, so we may well see some of you on the road. May/June 2016 we are back in amazing Europe on our combined Balkan's/Greece three week tour with Thanasis and team visiting 13 x countries in total, this is followed by our Great Kiwi Euro Alps 2016. Two couples spots on this one off Balkans/Greece tour have become available (the singles are booked out) and places are still available for both couples & singles on the Alps tour. Check out these two tours/adventures.